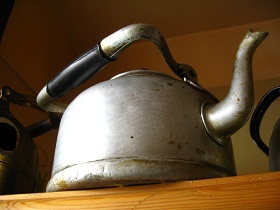 Thirsty Pilgrim: Warm Water Café May Continue. One of the last real lambic cafés in Brussels might very well live to see another day. But it's not a done deal yet. As I mentioned before, Warm Water owner Lieve Polet has been planning for a while to retire at the end of June. Those plans haven't changed. Meanwhile, those of us fond of this bruxellois institution in the Marolles have been holding our collective breath, hoping that a buyer or somebody would come along to keep the place open. That may be happening now. "There is a real possibility that Het Warm Water continues," Polet told me yesterday. The discussions are happening today, presumably between Lieve and the prospective buyer. She promises to let us know what happens. I'll keep you posted. The Warm Water specializes in dialect, atmosphere, vegetarianism, bruxellois breakfast, and Girardin lambic. 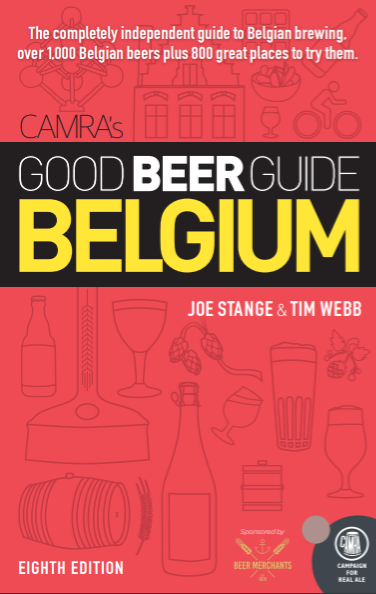 For more details, crack open your copies of Around Brussels in 80 Beers or LambicLand. It need not be said that we hope this buyer is no architek just having a zwanze at our expense. Belgian beer and cooking: The Naptime Chef has declared it Belgian Beer Week, with a bunch of Belgian-inspired, ale-involved recipes. She has developed the recipes in cooperation with the folks at importer Vanberg & DeWulf. When I first read the name "Naptime Chef" and saw the beer-marinated pork tenderloin recipe, I thought maybe she specialized in meals that make you want to take a pleasant nap afterward. But no: The recipes are aimed at foody parents who love to cook. So they try to do it during the kids' naptime. Get it? I do. I get it, better than you could know.